Ninety Percent is one of my favourite new discoveries — simply put, it’s loungewear at its best. Born in 2018, the London-based brand’s collections are contemporary and luxurious, feminine and low-maintenance, and their concept is ethical and sustainable in the most inspiring ways. For every piece sold, 90% of the profits are distributed between charities and the workers along the production chain who made the clothing come to life. Not only this but when you buy an item, you help decide where you want the money to go. At the heart of the Ninety Percent concept are respect for people and respect for our planet. 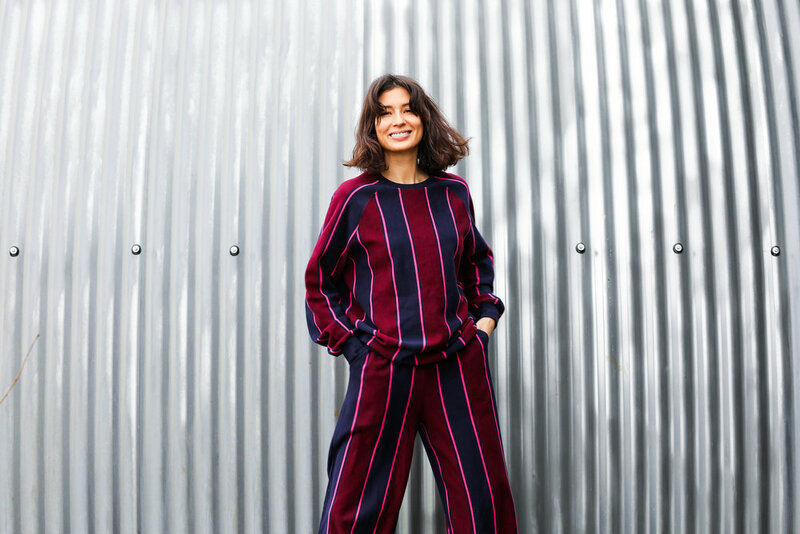 They use factories in Turkey and Bangladesh where the workers’ welfare is a priority, and even introduce customers to Ninety Percent team members like Nisha, thereby creating a connection to the source and creator of your garment. As for their fabrics, Ninety Percent source their materials very carefully, focusing on organic cotton and TENCEL™, a responsible textile fibre made from raw wood and a wonderful eco alternative to synthetic fabrics. When they use less sustainable materials for a certain design, they get to work researching ways to remedy this and become even more sustainable in future.